Thank you for your interest in Staying Healthy! Please complete this order form to request your books. Note: Nonprofit adult education and literacy organizations in Florida may be eligible to receive books at no charge. Publications may only be sold to schools, nonprofit organizations, or other organizations with a valid tax exemption certificate. You are welcome to browse the Staying Healthy collection online before you place your order. 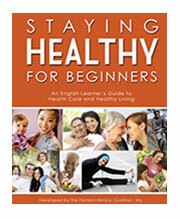 I am part of an adult education or literacy organization in Florida and would like to request Staying Healthy books. 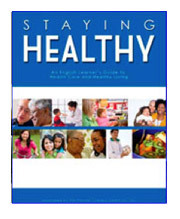 I am part of a non-literacy or out-of-state organization and would like to purchase Staying Healthy books. This project was made possible through a grant from the Florida Department of Education, Division of Workforce Education.